I Love Snacking is a company that produces Mediterranean snacks, aimed primarily at airlines and vending machines, but some of their products are available in supermarkets too. Each product line has its own label, so you likely haven't heard of the parent company before. One line is Oloves, flavored olives. I saw them once on a plane, I think Virgin America? Another is Stuff'd, rice stuffed dolmas. Fruity Pie is a new line not yet available. 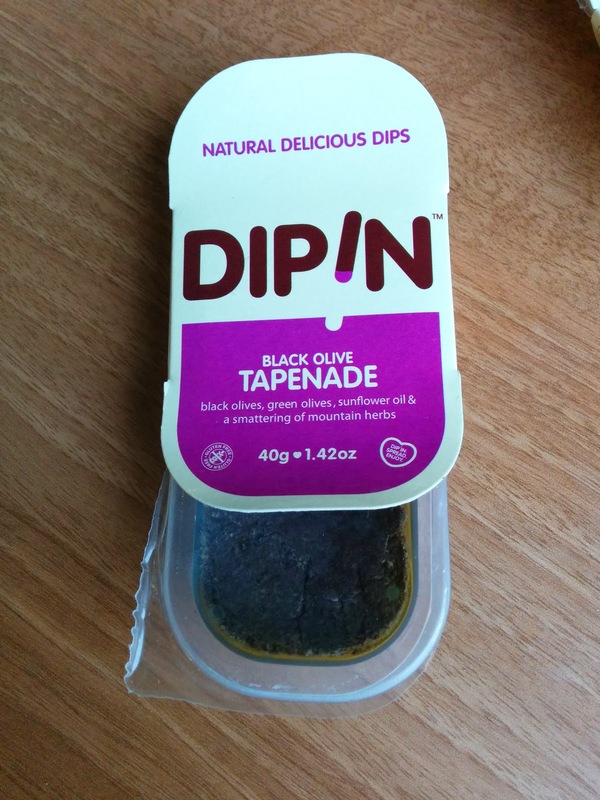 I haven't tried any of these, but I did try their Dipin line, made up of assorted Mediterranean dips. All are gluten-free, vegan. Since I love sauces, and dips in general, I was excited to try these out. Sadly, I didn't love any of them, as they really didn't seem all that fresh, clearly packaged, preserved items. The flavors were also too strong, at least for me, partially due to the fact that many included ingredients that I don't like much to begin with, so having them accented was the opposite of what I wanted. I like the idea of having healthy, pre-packaged, Mediterranean snacks, but these didn't really live up to my standards. I started with the pepper & artichoke bruschetta: "grilled peppers, artichokes, fresh garlic, tomato, and a delicate dash of herbs." As a dip, it didn't quite work for me. I didn't taste the artichoke, which didn't bother me since I don't care for artichoke, but I was surprised by how prevalent the tomato flavor was, given that it wasn't part of the product name. It was also a bit mushy and oily. But my biggest issue is that it just didn't seem fresh. I think it would have been decent spread on some bread, like real bruscetta, but I'm not sure what I'd want to just dip into it. 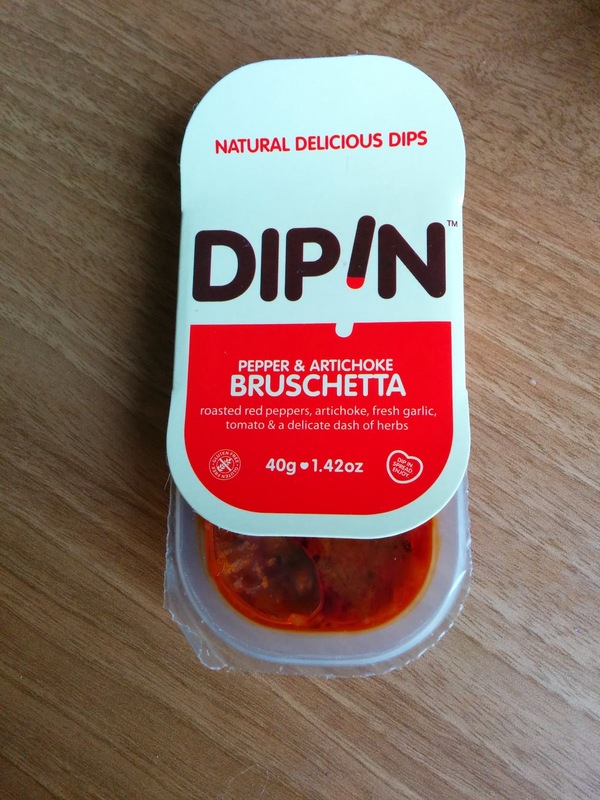 Sadly, it was my favorite of the dips. Next, I went for the tapenade: "black olives, extra virgin olive oil, and a smattering of mountain herbs". Well, you ask for black olive, and you get it. This was soo incredibly olive-y. Like the bruscetta, it was too oily for me. It was also very salty. And again, I'm not sure what I'd want to dip in it, I think they need to re-brand as spreads, not dips. I liked it best when combined with the hummus, as the two very strong flavors helped mellow each other out a bit. 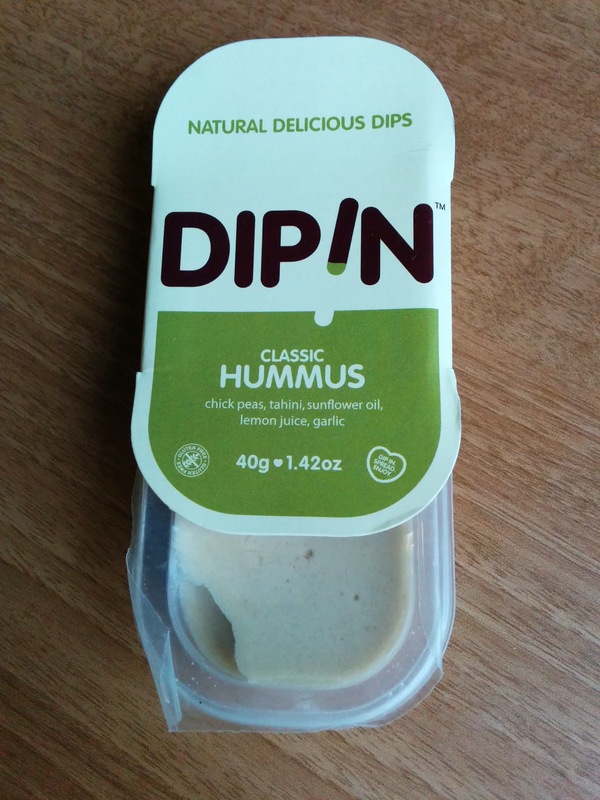 My second favorite of the dips, but I wouldn't try it again. Lastly, the hummus: "chick peas, tahini, extra virgin olive oil, lemon juice, garlic, and a smidge of cumin". I don't generally like hummus, since I don't like chickpeas. But I at least wanted to try it. I know they say this is "classic", but is adding tahini actually a standard thing? I didn't think it was, but I certainly don't have much experience with hummus. As I feared, it was very chickpea-y, but did also have the taste of tahini to it. Very smooth and creamy. But, for me, just too much chickpea. It was best mixed with the tapenade to mellow both of the intense flavors out. Paladar is a Cuban cafe in the Financial District. Cuban isn't a cuisine I generally gravitate towards, but sometimes, I really start to crave yuca and plantains, so I decided to check it out. Paladar is a cute looking place, with table seating, but I got my dishes to go. They are up to date with modern mobile payment systems, offering both Paypal and LevelUp. Unfortunately, I really did not like any of the dishes I got. While not exactly the same style, it was about on par with Destino, a Peruvian restaurant, where my dining companions and I actually left after eating our appetizers, as we decided it wasn't worth ordering anything else. Just like Destino, everything at Paladar was overly oily and completely flavorless (besides the strong oil flavor). Charanga’s Yuca Frita & Chipotle Aioli. $6. 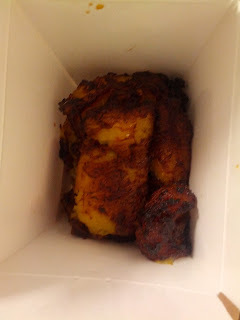 "Classic crispy cassava served with mildly spicy sauce"
I've been seriously craving yuca lately. I was so exited for this. Visually, it didn't look great: the pieces of yuca were tiny little chunks, which was a bit disappointing. They also looked really greasy. But I still dug in. They were nasty. So incredibly oily. I did not taste the yuca at all. Honestly, all you could taste was oil. They were hot, and crispy, but really not good at all. I love dipping sauces, so I actually went for a third chunk, even after my initial dislike of the first two, excited to at least slather it in the dipping sauce. I didn't like the sauce either. It just tasted ... strange. Limon Rotisserie definitely had better yuca fries, and far, far better sauces. $6 for the full size portion of just a few chunks (this photo is before I had any!) really seemed incredibly overpriced. I clearly would never get this again. Mariquitas & Mojo. Small size. $2.75. 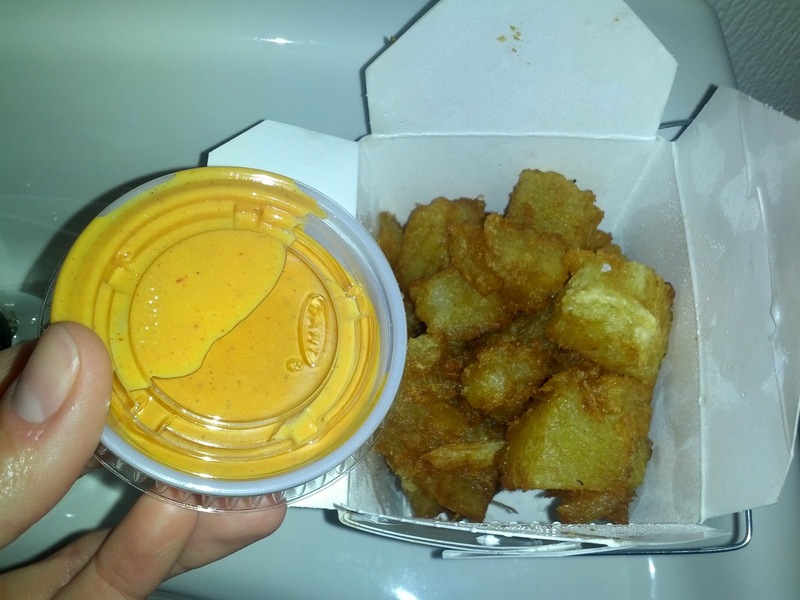 "House-made plantain chips with garlic dipping sauce". After the fail with the fried yuca, I decided to try out the plantain chips, another favorite of mine. Just like the yuca, the plantain chips were overly oily, and didn't have much flavor to them besides the oil. They also weren't very well salted. I did like how crispy they were, and how large the slices were. The mojo was incredibly disappointing. I'm a dips girl, so I wanted it to be good, but it really wasn't. Watery, slightly garlic-y, slight citrus tang, but really not much going on. 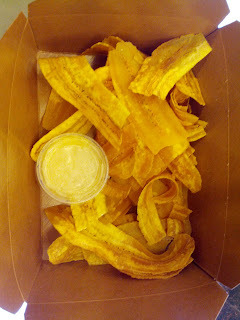 La Mar Cebicheria definitely had both better plantain chips, and far superior sauces. The $2.75 price for a small was fine, but I would not get this again. As a quasi-dessert, I also got the maduros, fried sweet plantains. They were much better than the yuca. Sweet, decent flavor. Not good exactly, as they were kinda soggy, and a bit oily. I wouldn't get this dish again, but it wasn't horrible. $2.75 for the half portion was a fine price. Today's chocolate review is a little different from the norm, in that I'm pretty sure that 100% of people reading this have enjoyed their products before. Ok, perhaps not enjoyed, but certainly tried! This chocolate maker needs no introduction. 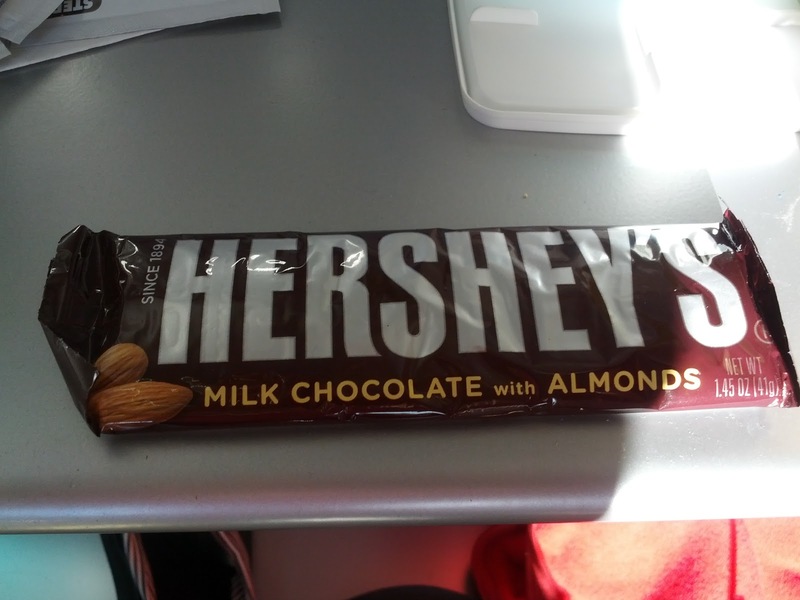 This is America's default chocolate: Hershey. I'm including them here for completeness, and because I encountered a lot of Hershey chocolate over Halloween, so I have tried a lot of it recently. It is pretty much exactly what I remember. Air Delight: "Milk chocolate gently blended into a light, airy texture." Tasting notes: Not good milk chocolate, strange airy texture. Special Dark: Tasting notes: Not complex dark chocolate, but decent bitterness to it. Very creamy for a dark. 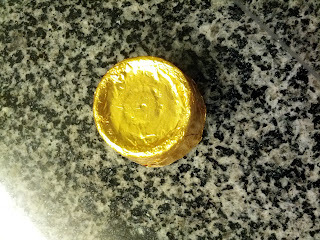 Mint Truffle: "Sweet mint truffle center surrounded by classic Hershey chocolate". 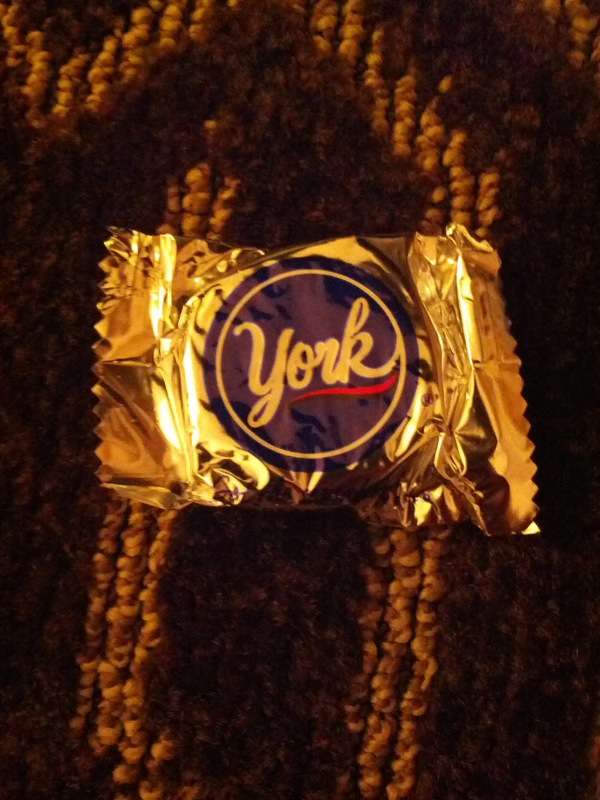 Tasting notes: Milk chocolate was standard forgettable Hershey, center has minty filling but mostly just sweet. Not interesting. Hugs: “Milk chocolate hugged by sweet white cream. " Tasting notes: Tasteless milk chocolate, tasteless white milk chocolate, meh. Caramel: "Milk Chocolates Filled with Caramel." 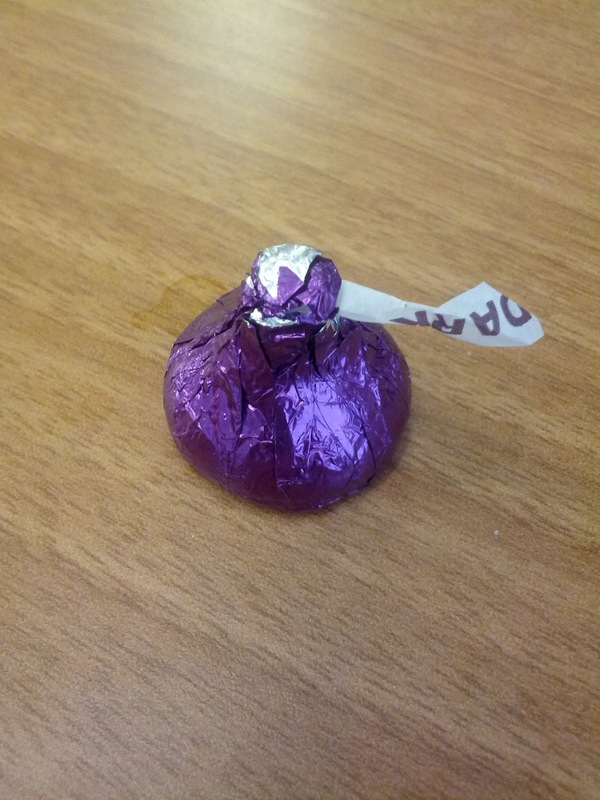 Tasting notes: Too sweet, poor quality chocolate, meh. Milk Chocolate with Almonds: Tasting notes: Really, their chocolate is just not good. 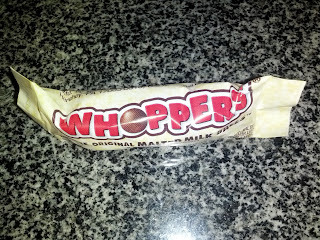 Waxy, no chocolate flavor, meh. At least the mouthfeel is decent? 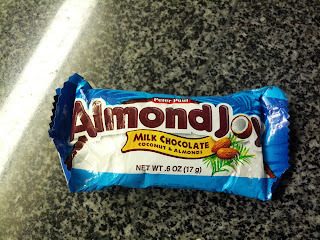 The almonds were fairly flavorful, and there were a generous amount in the bar. But this was just not very good. 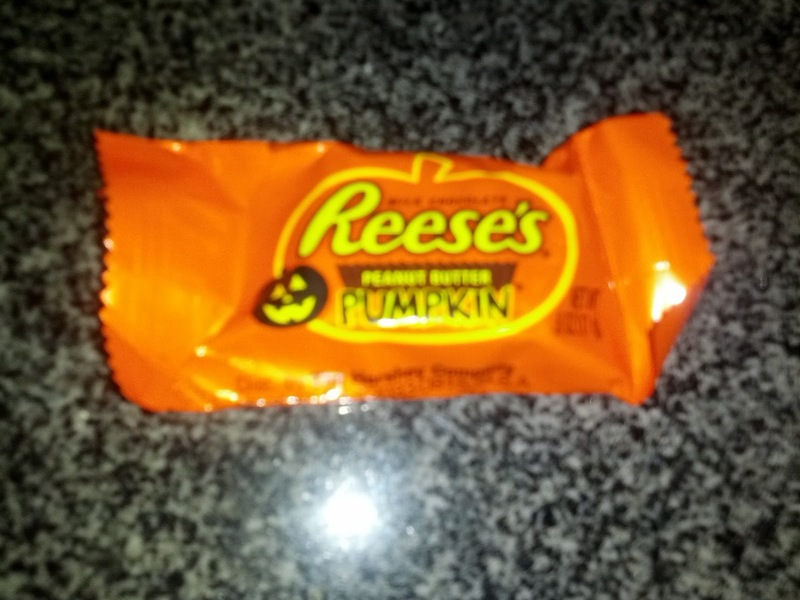 Reese's Peanut Butter Cups, Dark: "Classic peanut butter smothered in rich, dark chocolate". Tasting notes: I thought this would be good, as I like dark chocolate far more than milk chocolate. 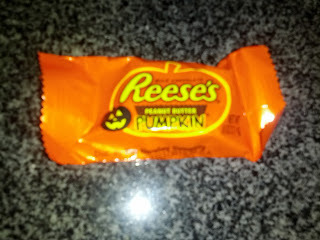 And I enjoyed my last peanut butter cup. But, this wasn't very good. The dark chocolate was not complex and it overshadowed the peanut butter, so all you tasted was not very good dark chocoalte. Meh. 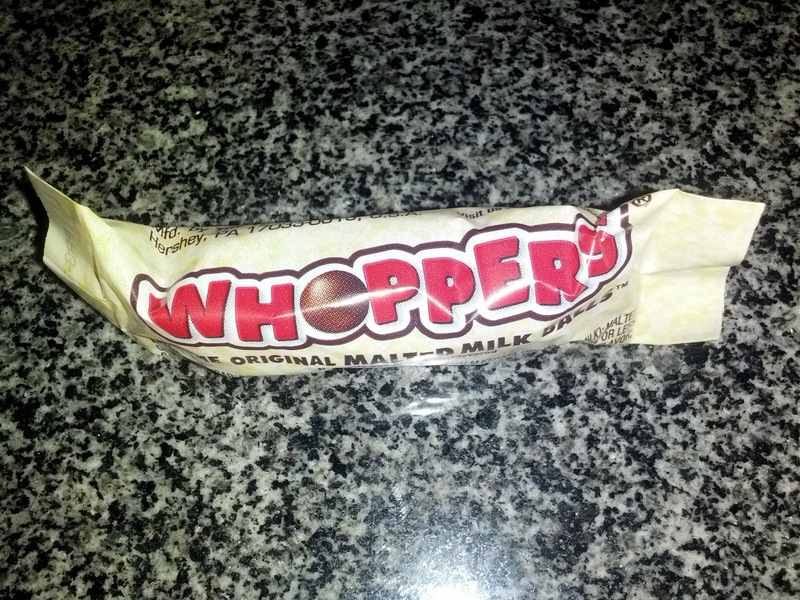 "Malted milk balls covered with a chocolate-flavored coating". "A unique taste experience by combining pretzels, caramel, peanuts and peanut butter, and covering it all with chocolate". "Chewy caramels in milk chocolate"
Meh, not very good chocolate, not very good caramel. Do not like. "Coconut and crunchy almonds in creamy milk chocolate." "Toffee coated in milk chocolate." "The cool, refreshing taste of mint dipped in smooth dark chocolate." 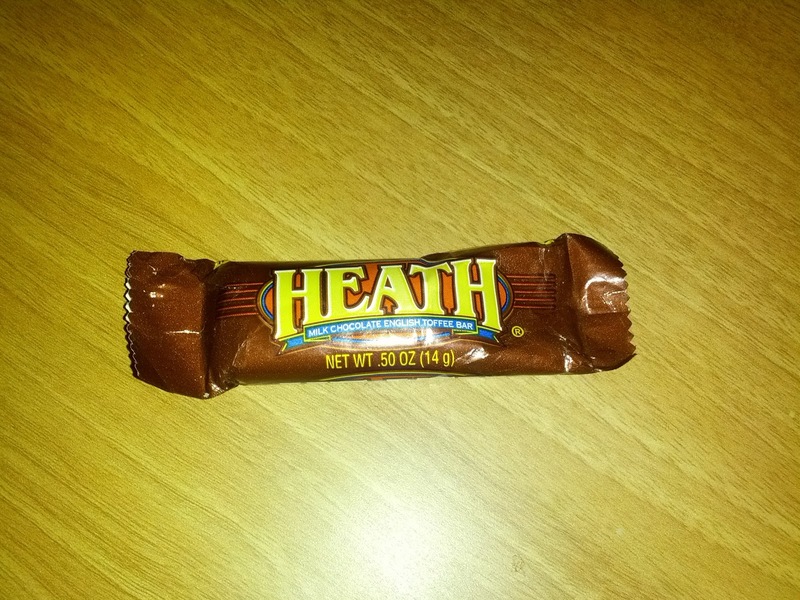 I remember loving these when I was younger, I always liked the strong mint taste and the dark chocolate. But now ... I don't find them minty enough at all. 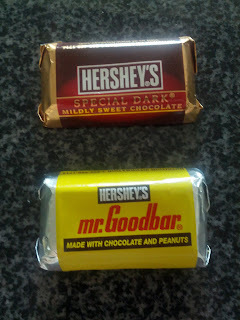 And the chocolate I thought was super dark is really just mediocre chocolate, without a deep flavor. Meh to this. I also used to love freezing these, but, even freezing them doesn't save them for me anymore. 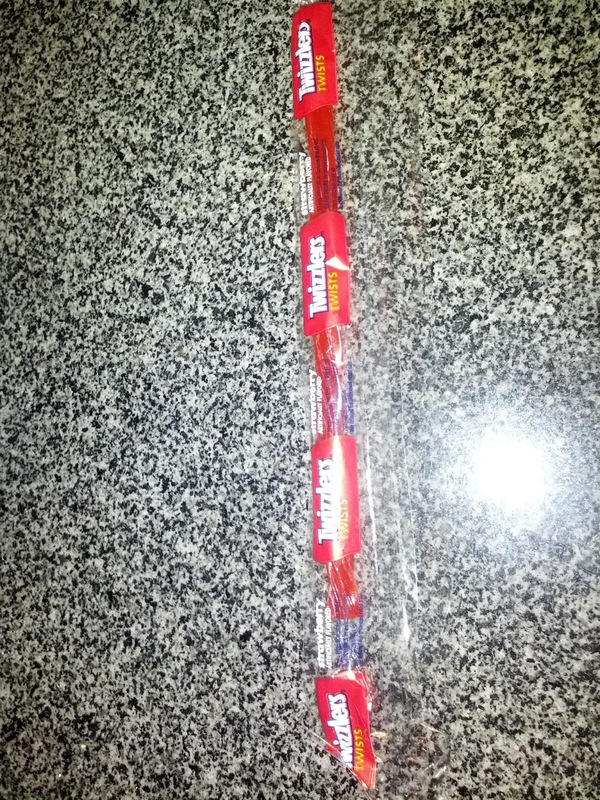 Chewy texture is nice, but I swear these used to actually be more flavorful, where is the strawberry flavor? 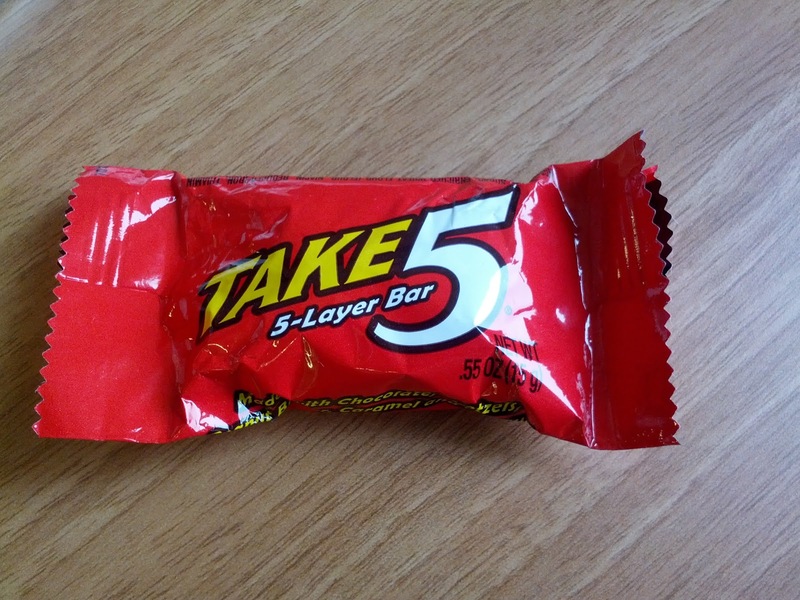 Subsequent notes: They kinda taste like plastic. But I enjoy the chew. Hard Candy Doubles: orange/green apple. 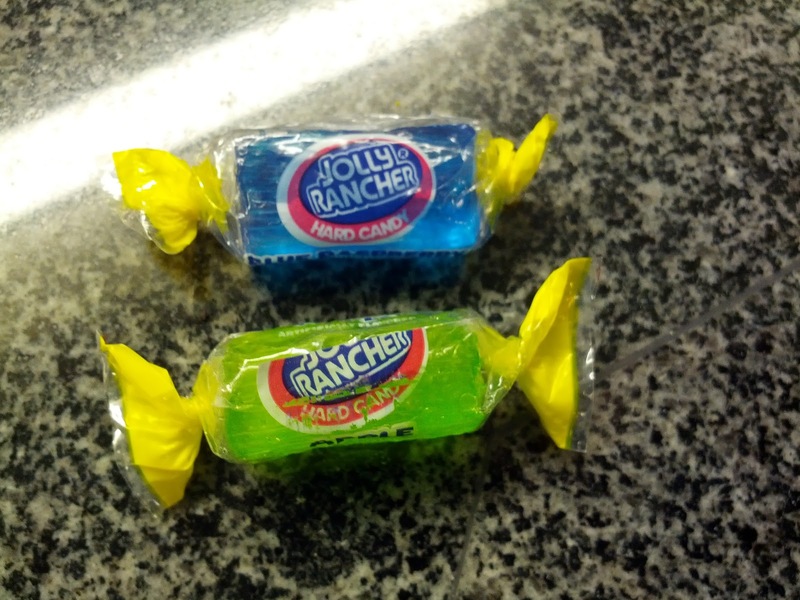 Tasting notes: not classic jolly rancher shape, this was a round hard candy. Liked green apple half but not orange. 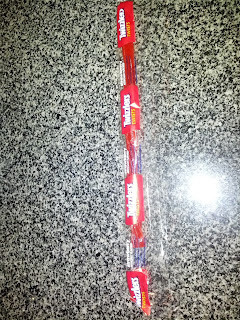 Fruit Chews: Tasting notes: tasted like plastic. Horrible.